The packed protest meeting in Shaftesbury. 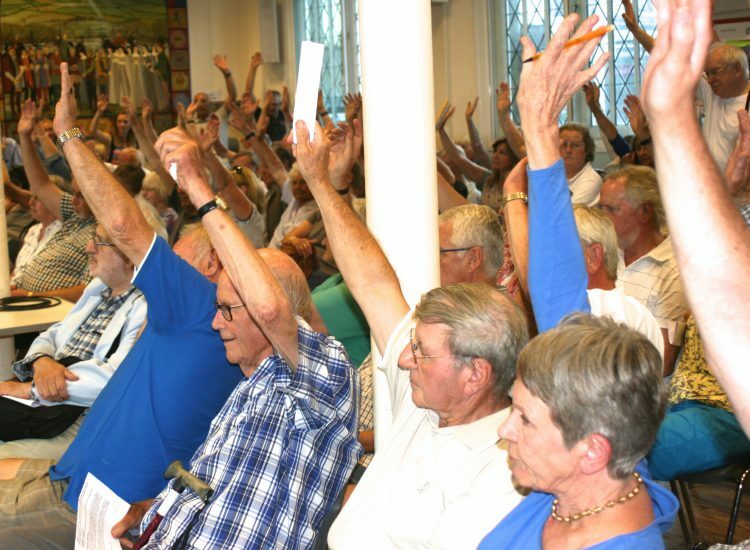 A standing-room only public protest meeting in Shaftesbury on Tuesday 10 July demanded Shaftesbury Town Council launch a judicial review to prevent North Dorset District Council selling Dorset’s last remaining cattle market site to Lidl supermarket and for a parish poll on the issue. The town council is to consider the demand for a judicial review at a special meeting tonight, 11 July, with a similar call from Shaftesbury Civic Society that had its request to have the cattle market site registered as an asset of community value rejected by NDDC last month. 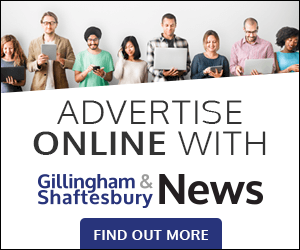 More than double the number of residents who attended the town council’s own meeting on 11 June crowded into the town’s guildhall in support of the call by new lobby group ‘Justice for Shaftesbury’ to stop the sale until local people have been properly consulted on other uses for the site. The group, set up by former mayor Lester Dibben and ex-soldier Peter Yeo, is particularly angry that NDDC has agreed to sell the site without first consulting local residents on what facilities of more community benefit would be better on the site. But it is also angry that the town council has done little to challenge the sale and that the town’s present mayor, Councillor Piers Brown, is a member of NDDC’s cabinet that agreed to the sale in April and has supported the sale at town council meetings. Both Councillor Brown and the town’s deputy mayor Councillor Lester Taylor turned up to last night’s meeting but left after declaring they had both expressed prejudiced views that mean neither could chair the meeting as required by law. The meeting elected retired journalist Jill Gossage, for many years local correspondent for the Western Gazette, as its chairman for the evening. A few people at the meeting voiced support for a second supermarket next to the existing Tesco, including one man who insisted the site had been sold to Aldi rather than Lidl, but the overwhelming majority were against the site being developed as a supermarket. 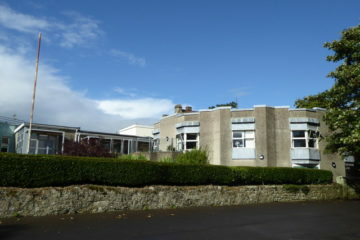 Main organiser Peter Yeo told attendees that the site was the only significant piece of strategic publicly-owned land left in the town, situated as it is midway between the old town and the new developments to the east of Christy’s Lane. ‘Once this land is sold to Lidl it is gone to this town forever,’ said Mr Yeo. Mr Yeo, who lives in Mampitts Lane on part of Persimmon’s new east Shaftesbury development, said he believed a development more like The Exchange in Sturminster Newton would be a better use for the site but it was down to the people of Shaftesbury to state their preferences in a full-scale survey first. Councillors Tim Cook, George Hall and Philip Proctor, the architect for The Exchange, were the only town councillors to attend last night’s meeting after the departure of the mayor and his deputy. None of the town’s four district councillors attended or sent apologies. But apologies were received from Shaftesbury’s county councillor Derek Beer. Referendum: it's voting day in Gillingham!